That’s an interesting deal as it means you can try out both the sports betting and casino sections of the site for a relatively small first sports bet. For more details, check out all available promo codes for signing up with Betfred. You must be a new player with a new account. £10 sportsbook bet must be odds of 2.0 and used on the sportsbook. Your free bet stakes are not included in any return. Your free bet and free spins are valid for 14 days. The first bet must be settled within 30 days. The free spins are worth 1p per line. Those depositing money using Moneybookers, Ukash, Neteller or Paypal are not eligible for this offer. One offer per account and customer. For existing customers, there are several current promotions based on football bets in the sportsbook. These vary so the best place to check them out is on the promotions section of the Betfred website. In the past, we have seen offers like moneyback 2nd on horse racing, acca insurance on football and bonuses for picking winners on system bets. It’s also worth following Betfred on social media to hear about the latest offers before everyone else. If you’re interested in those kind of offers, make sure to opt in to receiving communications from Betfred. Note: Your results for these coupons may vary depending on computer/device operating system and specifications. 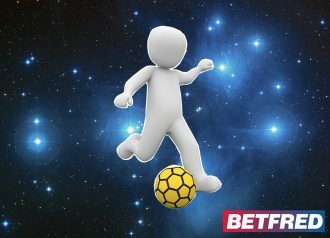 To find out more about Euro 2016 and betting on the matches, why not check out our guide here and click here for a tempting promo code to bet with!